Kailash Mansarovar Yatra is one of the most revered journey in Hinduism. Every year, the Yatra to Kailash Mansarovar is organized from India as well as Nepal both by road and helicopter. Of late, helicopter yatras have become very popular, as it take less time and hassle-free journey to the holy Mount Kailash and the Lake Mansarovar. Kailash Mansarovar is set at an elevation up to 19,500 feet in Tibet, and is one of the most arduous treks driven by spiritual believers. The trek to Kailash Mansarovar covers extremely high altitudes in Trans-Himalayas in freezing temperature. The challenges of this Yatra are tough but faith compels the pilgrims from all over the world to complete the Yatra. Kailash Mansarovar is considered the holiest journey among Hindus. As per Hindu mythology states, the mountain is the abode of Lord Shiva and an earthly manifestation of Mount Meru. The Mansarovar Lake, set at an altitude of 4,558 m (14,950 ft.), is the highest freshwater lake in the world, said to be the personification of divine purity. Both these sites are said to be the source of salvation and redemption from all sins. A bath in the Mansarovar Lake is believed to cleanse the sins of a hundred lifetimes. After the rituals on the lake shore, pilgrims walk on foot to circumambulate (Parikarma) of Mount Kailash and the Mansarovar Lake. It is also believed that taking a dip on full moon night is equivalent to 10 yatras. 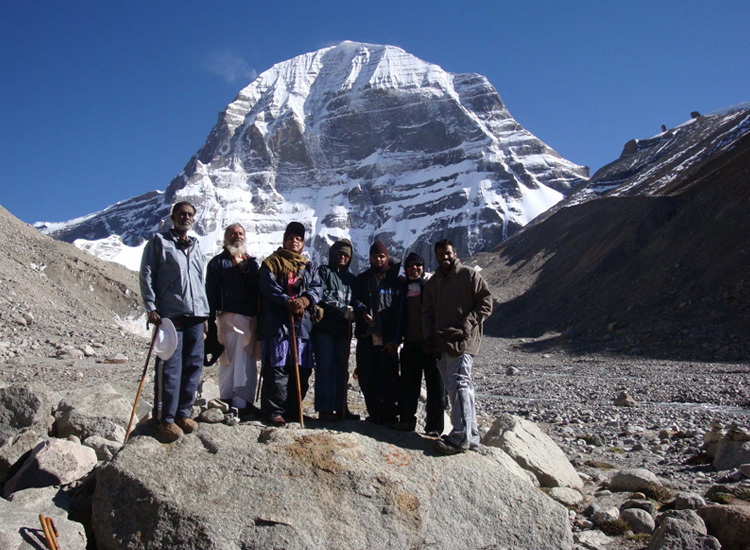 The journey to Kailash Mansarovar is an intense spiritual experience, a life-changing sojourn. Every year, the Kailash Mansarovar Yatra is organized between the months of May and September. Open for people between the age group of 18 and 70, the yatra can be done on foot by road and helicopters. The complete yatra including medical check-up, acclimatization and other things can take 10 to 30 days. Kailash Mansarovar Yatra packages offer complete travel plans to the holy sites. This spiritual journey is one of the highlights of the India Pilgrim Tours. To ensure a memorable experience to the pilgrims, the tours have English speaking guides and tour leaders available for every batch. Medical facility and doctors are also available to ensure the well-being of the pilgrims in case of any medical emergencies during the journey. How important is fitness to undergo this expedition? Fitness is one of the major aspects to consider before undertaking Kailash Mansarovar Yatra. Medical examination prior to the Yatra is mandatory. It is advised that people going for the Yatra should begin preparation in advance. Make brisk walking into routine, also perform some yoga pranayama and asanas. The road routes for Kailash Mansarovar yatra are available from Nepal as well as India. The road yatra begins in Kathmandu, Nepal’s capital city. Pilgrims can first fly to Kathmandu and then travel by road to Syabrubeshi, Kerung, Saga, and Dongba to Mansarovar at the foothill of Mount Kailash. After circumambulation (parikrama of the holy mountain and lake), the road continues to Darchen, Diraphuk and Zhulthulphuk returning to Kathmandu. The 14-day road journey is soul cleansing and picturesque. From India, the road routes are through Lipulekh Pass in Uttarakhand and Nathu La Pass in Sikkim. The 13-14 day journey can be undertaken by luxury coaches, equipped with all facilities. Kailash Mansarovar Yatra by road tour packages are available with India pilgrim tours. Both of these road yatras are allowed after China’s permission. This year in 2017, there has been no update about the government of China issuing permit to complete the yatra by road. Permits may be issued later, but for now, it is best that pilgrims prepare to complete the Yatra by Helicopter. As we discussed above, there has been not update about China issuing pilgrim permits by roads, so the Kailash Mansarovar Helicopter Yatra is one of the best ways to complete the pilgrimage. Not only can one avoid the visa-related issue, one can save time, have a hassle free journey and also enjoy some of the most beautiful views of the mountains. Kailash Mansarovar Helicopter tour package is available from two points, Kathmandu or Nepalgunj. The 8-13 day helicopter yatra offers a wonderful experience of picturesque sights, challenging treks and spiritual bliss. The itinerary includes a flight from Kathmandu to Nepalgunj then Simikot. Helicopters take pilgrims to Hilsa. Land cruisers are then used to reach Mansarovar Lake and Mount Kailash. After circumambulation, the road continues to Darchen, Diraphuk and Zhulthulphuk retuning to fly to Kathmandu. Kailash Mansarovar Yatra by Road is available at a cost of INR 1,15,000 for single person and the cost for helicopter yatra is INR 1,72,000 per person. The cost of the tour package is exclusive of service tax that is around 9% of the total bill. Other expenses like Horse/yak riding for Kailash Parikrama are exclusive of the package. The charge is directly payable to horse/yak herder. One of the most important things to do during the Kailash Mansarovar Yatra is the dip in the holy Mansarovar Lake and the Parikrama of Mount Kailash. Other things to do during the Yatra are attending the Saga Dawa Festival which is annually organized at Mount Kailash. This festival is the most important festivals held in Tibet. The festival celebrates 3 important life events of Buddha’s life – Birth, Nirvana and Mahaparinirvana. On your yatra, also pay a visit to Mani walls. These stones have mantras and devotional designs inscribed around the familiar mantra “Om Mani Padme Hum”. Touch these holy rocks as they are said to bring good luck and blessings.